QAMISHLI, Syria - The US-backed Syrian Democratic Forces said Saturday it had begun the "final battle" to oust the Islamic State group from the last scrap of territory it holds in eastern Syria. 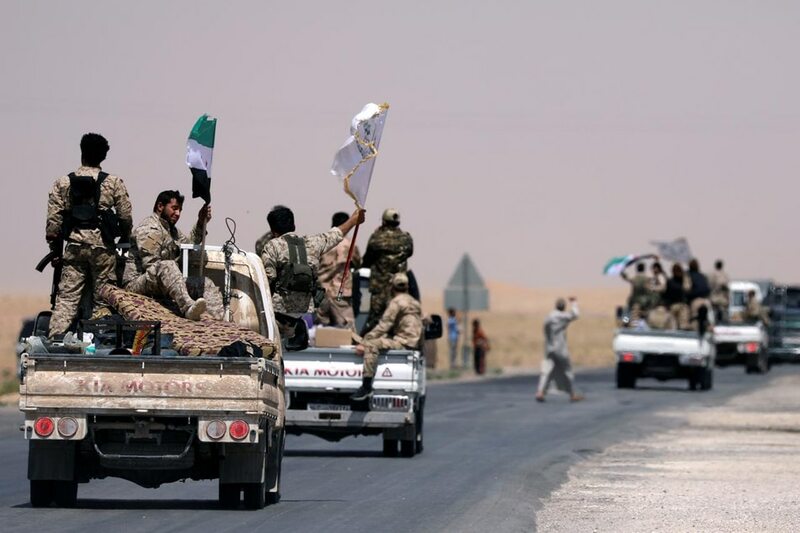 Backed by air strikes by the US-led coalition against IS, the Kurdish-Arab alliance has in recent months cornered the jihadists in a final patch of territory in the eastern province of Deir Ezzor. After a pause of more than a week to allow civilians to flee, the SDF said Saturday it had resumed the fight to seize the last 4-square-kilometer (one-square-mile) patch from the jihadists. "After ten days of evacuating more than 20,000 civilians... the battle was launched tonight to exterminate the last remnants of the organisation," it said. "This battle will be sealed in the coming days," he said. IS overran large parts of Syria and neighboring Iraq in 2014, declaring a "caliphate" in areas it controlled. A series of assaults have left that proto-state in tatters.